Amongst Pest controllers, Forest Lake is famous due to the rogue pest controller that was caught spraying under house slabs for Termites… using only water! 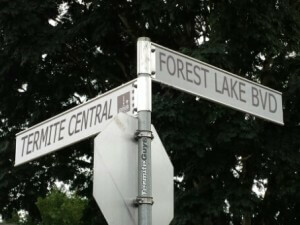 5,000+ houses may have been falsely protected by one of the major firms contracted to install termite protection throughout many Forest Lake homes built within the Delfin Master Planned community. Although it was not a viable solution to carry out soil samples at every property, the termite calls we received from Forest Lake when these properties should have been protected makes me wonder how many homes must have been built without protection. Most of the chemical treatments originally used to protect homes throughout Forest Lake are unlikely to be effective as these chemicals have surpassed product life expectancies. We provide a no charge service to check if your home is protected. While our technician is at your home, generally for about 30 minutes, he can give you some general tips for termite prevention. All of our technicians are licensed to inspect and reinstall these termite barriers if required and we can provide you with a quote to reinstall the termite treatment if necessary. 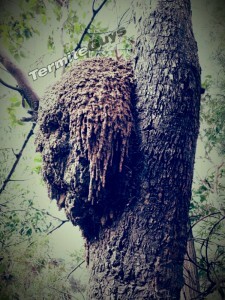 the tree where they construct well organised colonies throughout the tree with millions of hungry termites which can travel more than 100 metres in search of a food source. It is not uncommon for one nest to attack several houses in the one street. They will even travel under roads! 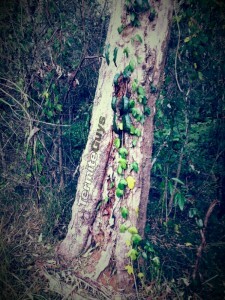 Been awhile since your last Termite Inspection? Why not have our technician carry out a complete home inspection? Save $20 by filling out our easy online enquiry form. We have the latest equipment for detecting termites inside the home. As our name implies, we are specifically Termite Guys and are fully equipped to detect, eradicate and prevent Termite attack. What is the difference between Termidor HE and Termidor SC? 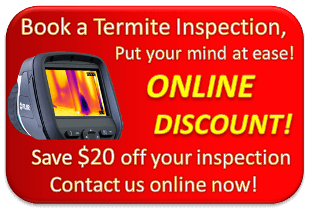 Locally owned and operated, Termite Guy Brisbane promises prompt, professional and effective Termite treatments to protect your home, office and property. For a free quote or any other enquiries contact us today!